Cooking no longer happens only in traditional ways. You can now save power and get faster results if you use the correct cookware. Induction cookware items are part of this revolutionary way of preparing meals. 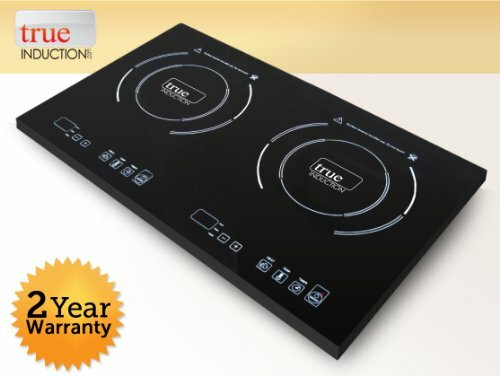 The True Induction TI-2C Cooktop Dual Burner model is the result of years of experience. The company now offers you a portable version instead of one you must permanently install. Let’s look at other reasons this may be the item your cooking needs now. True Induction offers many models but this one is designed to help people enjoy the flexibility of a portable unit. You can take this anywhere you need heat for cooking as it doesn’t require installation or particular power sources. As long as the source can handle 1,800W, you’ll be safe. Here are more features you must take cognisance of before purchasing one. A feature that makes the True Induction TI-2C Cooktop Dual Burner exceptional is the power-sharing capabilities. Not many other True Induction products have this. If you need to cook two dishes at the same time the power will simply be split between the two burners. This makes for more energy efficient cooking because both burners won’t draw maximum power from your outlet. Where else can an induction cooktop benefit your lifestyle? It’s worth trying one out because you’ll save time, energy and money. The True Induction TI-2C Cooktop Dual Burner doesn’t even require installation. Try one out today while you decide which part of your life will benefit most from using one. If you are looking for a single burner True Induction Portable Induction Cooktop, this one may be the right for you. What’s so exceptional about induction cooking? What pots can you use? As mentioned above the generated heat of an induction burner is dependent on an electromagnetic reaction. Not all your current cookware may have this effect on your induction burner. If you want to know whether your cookware will work, simply bring a magnet near the bottom of the pot or pan. If the magnet sticks to the cookware, it will more than likely work on your induction cooktop. Most induction stove manufacturers sell cookware you can use for more effective cooking.